Some people take a roundabout approach to life, but this is ridiculous. 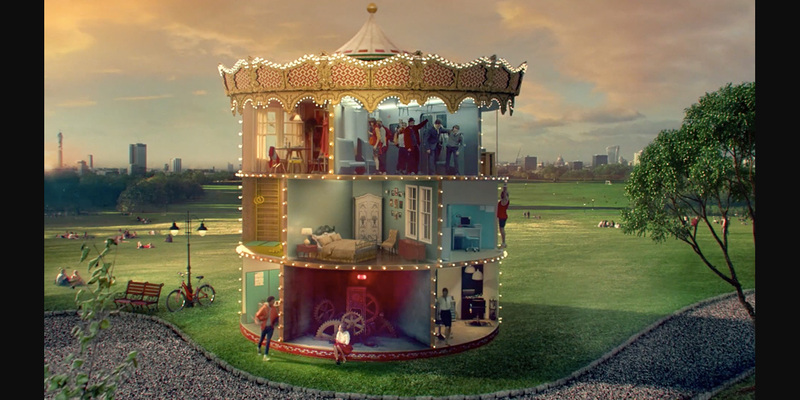 A young office worker’s grueling grind occurs entirely aboard a fantastical carousel in this musical, magical ad for Nestlé chocolate. Her ride is no ordinary amusement-park attraction. Rather, it’s three stories high and consists of roomy compartments containing her apartment, her workplace, a fitness club, a subway car and other detailed, often crowded locations. The carousel conceit marvelously mashes up the whimsical spirit of childhood—time for carnivals and candy!—with a world-weary adult ethos, wrapping its promise of rest and respite in a whiz-bang visual metaphor. As it turns out, Saavedra took a whirl at set decoration in a bid to make the production even more optically layered and engaging than the agency originally planned. Campaign: Stop the World, I Want Nestlé.